The Industrial environment has become very competitive in the liberalized economy. Business organizations have to cope with the constant changes as part of business strategy. Every decision in a commercial organization is an economic decision and affects its profitability. The BCom degree ensures career advancement and provides an integral understanding of the key business aspects. This course focuses on the factors that drive economic and social behavior at both an individual and organization level. The Bachelor of Commerce (BCom) program is designed to enhance your ability to learn and will provide you the opportunity to develop network through real world experience. The course will equip you with the analytical, communicative and problem solving skills to effectively identify issues, source information, efficient and practical solutions. When you graduate from our college you will possess an understanding of values and attitudes consistent with your role as a citizen and a member of your professional community. 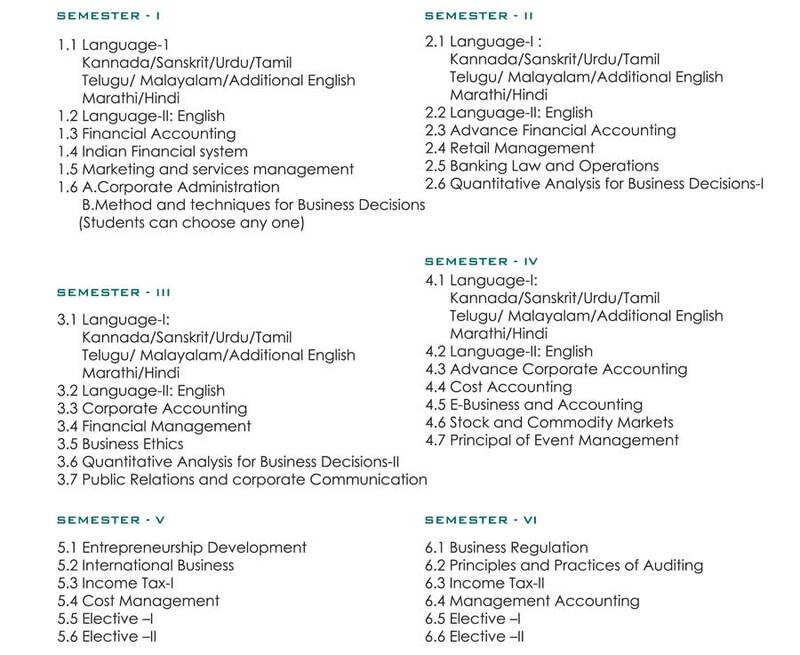 Pass in the two-year pre-university Examination conducted by the Pre=University Education Board of Karnataka State (10 + 2) or any other equivalent thereto.